If you are serious about protecting your private data from hackers or other snooping eyes, you should start using a security-focused operating system. 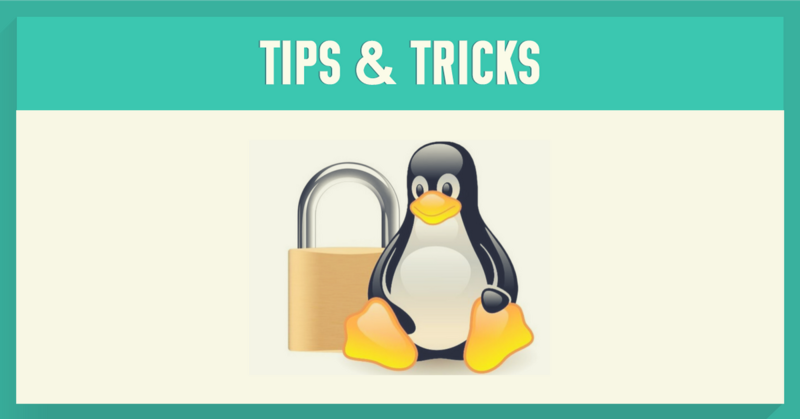 More tech-savvy users will quickly find out that there are many Linux distributions (distros) that keep your data secure with strong encryption and have other advanced security features. However, if you are just starting to take care of your privacy or still not sure which distro to choose, check out our favorites list below. Tails is a Debian-based free operating system that aims to preserve your privacy and anonymity. It uses strong cryptographic tools and routes all the Internet traffic through the anonymous Tor network, which means that nobody can spy on your activities online. Furthermore, Tails stores your data in RAM instead of using computer’s hard drive and erases all session information when you shut down. You can set up Tails on your computer from a DVD, USB stick or SD card. One of the top security-focused Linux distros, recommended various privacy experts. Based on a “security by compartmentalization” principle, Qubes allows its users to classify their online activities into securely isolated “qubes” (Virtual Machines). This way, if you accidentally download malware to your personal (or other) qube, your work-related data won’t get affected. The qubes are marked with different colors so you can easily switch between them. This Tor and Debian-based distribution ensures user’s online security through isolation. The operating system runs on two virtual machines: Whonix-Workstation is completely isolated and can only talk to the Whonix-Gateway, which routes all your connections to the anonymous Tor network. This creates an additional layer of protection from unexpected DNS leaks and malware. Whonix is designed to work on the top of the host OS and gets along well with all sorts of programs. Subgraph OS is based on Debian and aims at providing high-level security while remaining easy-to-use even for Linux newbies. The distribution uses an enhanced Linux kernel and runs key applications in strongly encrypted sandbox environments to reduce the impact of possible attacks. Subgraph OS anonymizes your Internet traffic by sending it through the Tor network and has an application firewall to block suspicious outgoing connections. Additional features include an encrypted mailbox and instant messenger for secure communications. Just like other Linux distributions secure your Internet connections by routing them through Tor, Ipredia OS does the same using the highly secure I2P protocol. It offers several layers of data encryption and supports anonymous email, web browser, IRC and BitTorrent clients. The operating system is based on Fedora and you can download it to your hard drive or simply run live since it is fast and lightweight. If you are running Ubuntu or another Linux distro not included in this list, you can also enhance its security by using a VPN to encrypt all your Internet traffic. You can set up NordVPN on your Linux computer manually by following these helpful tutorials.